The Starwood Motor's team is absolutely awesome. From the first contact to selling my vehicle was a great customer experience. They are straight forward and guided me through the process to maximize the potential with a quick sale time. I highly recommend the company. Fantastic job. They made it easy! Amazing experience throughout the entire process. Starwood holds nothing back to serve their specialized customers from the showroom floor to stand alone customer service. Bryce Mccurley stayed in touch from initial contact, even with my crazy schedule, with timely and detailed responses. The vehicle was exactly as described upon arrival and test drive. Bryce facilitated the out of state sale going above and beyond with late hours right down to delivery. First time customer but will be back without a doubt. Bryce and Gordon were outstanding. Made buying Jeep easy. I purchased the car without ever having to come to dealership. It was seemless. And, the customization of the vehicle is outstanding! I have consigned and sold two automobiles through Bryce McCurley and Starwood and I could not have been more pleased with the results. Bryce and his team were not only professional, but made the process both easy and enjoyable. Great place. Good people. Very informative. Definitely worth the 4+ hour drive up from San Antonio. This was my first time buying a sports car and I could not have asked for a better experience! Mike and Gordon did an amazing job. 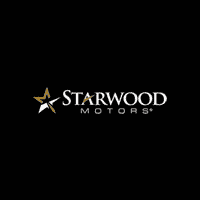 I would definitely recommend Starwood Motors to anyone in the market for luxury/sports cars, or custom Jeeps now that I saw their inventory - DAMN!If you go read their story on the website then that will give you a great summary of what to expect. Awesome company, great people & customer service, and badass vehicles! I never leave reviews. So, this should say a lot.Could not be happier with the team at Starwood.Why would anybody buy from anyone else! !Love my Jeep. Head turner! !Thanks again! !